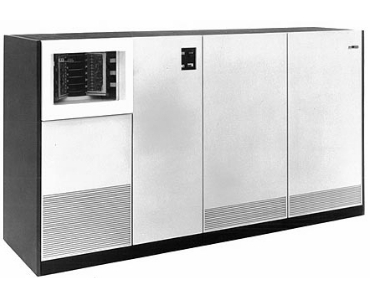 Known as Zeus during development and first shipped in 1971, the IBM 2305 gave IBM computer systems greater data-handling power for database applications and batch processing. It was initially used on two large System/360 processors, the Model 85 and Model 195, and later used with the System/370 Model 155 and Model 165. 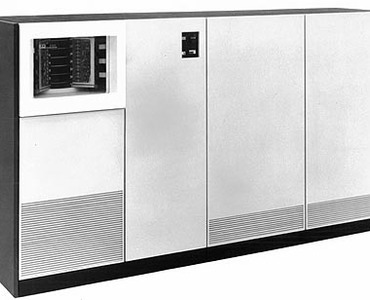 The 2305 provided those large-scale IBM computers with fast, continuous access to medium-sized quantities of information. Its capacity and high data rate made it ideal for systems residence functions, work files, indices and data sets that were used repeatedly. A 2305 facility consisted of an IBM 2835 Storage Control and one or two 2305 fixed head storage modules. Each disk drive contained six disks with 12 recording surfaces. Available in two models, the 2305 offered up to 11.2 million bytes per module. Read/write heads were fixed in position over each track. That eliminated seek time and contributed substantially to system performance. Data could be written at rates up to 3 million bytes per second. Rotational position sensing permitted the drive to disconnect during most of the rotational latency period. That left the channel available to transfer other data, resulting in increased channel and system efficiency. Multiple requesting permitted the simultaneous use of many programs within the 2305. The 2835 Storage Control was used with the 2305 to handle the data flow between the facility and the computer. The 2835 also checked for errors while reading or writing information. Microprogram-controlled, it contained a miniature read-only direct access device that read a flexible disk which stored microdiagnostic routines and backed up the microprogram. This special magnetic disk could be replaced by a new disk whenever engineering changes were required in the functional or maintenance microprograms. The 2305 could also be used with the 3330 disk storage to provide greater input/output capability and larger direct access storage capacity for systems equipped with a block multiplexer channel.